Guess which hotel offers the most romantic retreat. The following list is compiled from AsiaRooms.com's selection of finest hotels in Asia in different categories. We looked at 12 major categories from Asia's best hotels rankings to determine which hotels in Singapore offer the best lodging experience. Once we identified the Singapore hotels in each category, we inverted the lists in order to award a larger amount of points to the hotels ranked higher. For example, 10 points went to the #1 hotel on a category, 9 points to the #2, 8 to the #3, and so through #10, which received a single point. We then added up all the points we designated to each hotel to determine an overall ranking. The highest ranked hotel received 19 points overall for topping 2 categories. The hotel is recognized as the most accommodating to travelling and hollidaying families. For travelers in Singapore, Orchard Parade offers the best facilities and amenities that cater to both parents and children alike. The Family Room can accommodate up to 4 persons, and facilities include restaurants, a rooftop swimming pool, fitness centre and city transfers. Orchard Parade by Far East Hospitality is strategically located in the intersection of Tanglin Road and Orchard Road, Singapore’s busiest shopping, dining and entertainment district. Sheraton Towers is recognized as the best hotel in Singapore that provides the most well-equipped rooms and amenities (e.g. kitchen with electric stove, dock for charging iPhone) for business and leisure travellers alike. The Sheraton Towers Singapore, a 5-star accommodation that is situated along Scotts Road in the Lion City, believes in “pampering its guests with the comfort, luxury and conveniences that they are accustomed to at home”. Thanks to its 420 well-appointed guestrooms, the hotel has even been named one of the best places to stay in the world by the Conde Nast Traveller Gold List. The Spa Botanica at Sentosa Resort & Spa is home to Asia’s first mud pools, float pools with cascading waterfalls and meditation labyrinths. 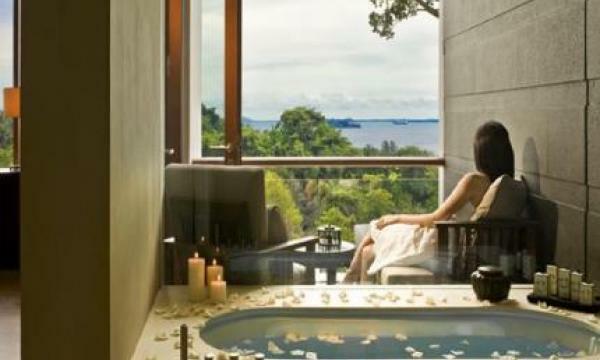 Considered one of the best spas in Singapore, it has received the Best Spa Experience Award by the Singapore Tourism Board, Best Luxury Destination Spa and Best Luxury Resort Spa by the World Luxury Hotel Awards 2011, and ranked sixth in Condé Nast Traveller UK Readers’ Spa Awards 2008. The Mandarin Orchard Hotel in Singapore, formerly known as Meritus Mandarin Hotel, is located at the doorstep of Orchard Road, Singapore’s busiest shopping and entertainment district. The Mandarin Orchard is right next to popular malls like Takashimaya, Paragon, ION, Lucky Plaza and more, making this the premier hotel choice for shopaholics. Capella is recognized for offering the most romantic setting for newlyweds on a honeymoon or couples who are looking for an intimate getaway.This includes room décor, spa packages and hotel-organised couple activities. Capella Singapore is a resplendent 5-star hotel that can only be accessed via a private driveway on Sentosa Island, creating a sense of escapism from the city as couples retreat to this romantic sanctuary. It currently offers the Romantic À la Carte package which gives guests the option of choosing the one-bedroom Garden Villa, Constellation Suite or Sentosa Suite to stay at. Guests can also opt for a champagne breakfast in bed, 60-minute spa treatment or a special romantic set dinner for two amongst a list of other enticing offers. The winning combination of exceptional taste, enticing presentation and great variation of food reflected in the menu makes the hotel the leader in breakfast service. The Fairmont Singapore is a luxurious five-star hotel that is situated in Marina Bay, Singapore’s business, entertainment and shopping precinct. It offers 769 well-appointed guestrooms and offers mouth-watering breakfast at two in-house eateries: Prego, which serves an authentic Italian dining experience and Alligator Pear, a classy poolside restaurant which serves international delicacies. The hotel is best recommended for travellers who need a place to stay when on transit. It was also voted as fans' favorite hotel in Singapore. The Capri by Fraser Changi City is a luxurious 4-star hotel boasting an address that will appeal to both business and leisure travellers. 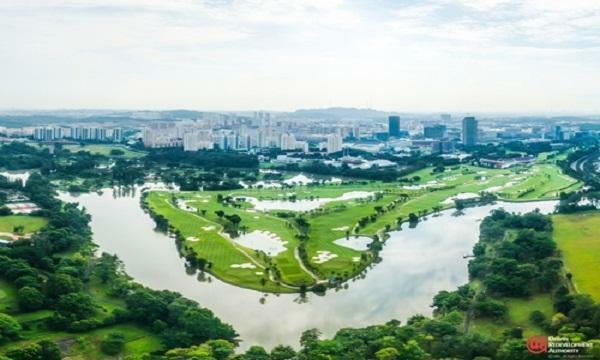 It’s situated within the Changi Business Park, in close proximity to the Singapore Expo, Expo MRT Station, Changi City Point shopping mall and of course, the Singapore Changi Aiport, which is located 5km away. It currently offers 313 stylish and spacious studios and even features delightful facilities like ofuro-style private baths and the Kinect for Xbox 360 gaming platform on every floor. The hotel is recognized for interior decor and floor layout of the different rooms. Inspired by the dynamic cosmopolitan lifestyle mixed with Sentosa’s natural surroundings. All its 240 guestrooms face the sea and marina, and the concepts behind each room is designed to blur the lines between the vibrant city-state with the lush greenery of Sentosa Island. Naumi Liora is recognized as offering the best cultural experience. Naumi Liora has taken great efforts to preserve elements of its heritage that date back to the 1920s to harmonise with modern comforts. Its timber flooring, French windows and Peranakan tiles are some design elements that contrast with the contemporary update of designer furniture and finishing, making this hotel a radiant landmark in the heart of colourful Chinatown. Naumi Liora is also named as having the bounciest bed in Singapore. Marina Bay Sands is recognised for its pool that features the best design and amenities, making lounging by and swimming in the pool a great recreational experience. Situated along the banks of the enchanting Ayung River in Bali is Alila Ubud, a resplendent hotel that comes equipped with 64 well-appointed guestrooms, some of which offer spectacular views of the surrounding volcanoes in the distance. The 4-star accommodation also comes with a stunning emerald-green infinity pool that is perched atop a terrace, creating the illusion that is floating above the plunging Ayung River valley. It is also named as the best and most awe-inspiring view of the surrounding landscape or cityscape. Marina Bay Sands is situated right in the heart of Singapore’s city center and a 20-minute ride from Singapore Changi Airport. Its three hotel towers with over 2,500 rooms and suites are topped by a SkyPark. At 200 meters in the sky, it provides unobstructed 360-degree views of the city skyline and the sea. The view from the infinity pool and observation deck is not to be missed.